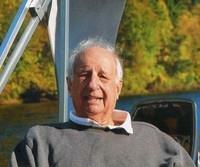 Notification with the passing of retired Pan Am/Delta pilot Captain David Wolt Yarri, age 80. Captain Yarri joined Pan American 06-05-1967 and retired with Delta Air Lines, based New York. Calling hours are Sunday, February 12th from 3:00-5:00PM at the Smith Funeral Home of Milford CT. Graveside services will be held on Monday, February 13th in Milford Cemetery, Gulf St., Milford at 11:00AM.